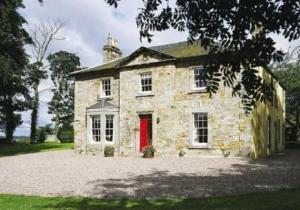 This elegant Georgian country house is located within a beautiful castle estate on the outskirts of Edinburgh. Sleeping up to 14 people, this classic Georgian Farmhouse is an excellent holiday property for guests looking for a large holiday house near Edinburgh in Scotland. Perfect for large family gatherings, groups of friends, golf parties, and civilised hen and stag parties! All bed linen, towels and bath robes are included. If necessary, additional linen/towels can be supplied for a fee. This property can also be booked with another estate cottage (subject to availability) to accommodate up to 26 guests in total.